How freaky could they get with a Ghidorah mutational phase? Perhaps he could start as an eel, become something like a traditional Eastern Dragon. Then start to split into a hideous aberration like The Thing before becoming the traditional three headed golden wyvern. He doesn't have to be anywhere near as freaky as Shin Godzilla. Just make him a normal Ghidorah with insane gravity abilities, his design can be relatively "normal". Last edited by MechaGoji Bro7503 on Fri Sep 08, 2017 3:35 am, edited 2 times in total. There already have been a few fan designs posted around the internet, I posted two to tumbler last November there may be more out there now. Last edited by szmigiel on Fri Sep 08, 2017 4:37 am, edited 1 time in total. For me, a "Shin" King Ghidorah wouldn't be gross and horrifying in appearance, but he would have insane upgraded abilities based on past abilities. Shin KG would have gravity defying powers and such. Shin Godzilla looked terrifying because he was based on the original's keloid scars. Last edited by MechaGoji Bro7503 on Tue Sep 12, 2017 12:22 pm, edited 1 time in total. MechaGoji Bro7503 wrote: For me, a "Shin" King Ghidorah wouldn't be gross and horrifying in appearance, but he would have insane upgraded abilities based on past abilities. Shin KG would have gravity defying powers and such. This means a Shin Ghidorah would look like a Skittles Ghidorah. This thread would have been a lot more interesting if it was about "Shin" inspired kaiju in general, rather than JUST Ghidorah. PitchBlackProgress wrote: This thread would have been a lot more interesting if it was about "Shin" inspired kaiju in general, rather than JUST Ghidorah. Or Shin Mothr - wait, we already have that. Last edited by Cybermat47 on Thu Sep 14, 2017 4:40 am, edited 1 time in total. 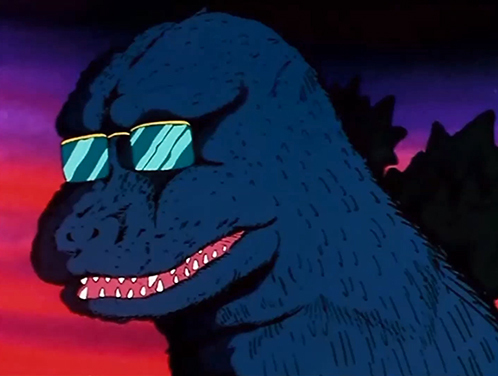 Shin Orga, Orga but with Shin Godzilla's tail for each finger, and an overly goofy smile on his face to subvert the usual "AHH,PLEASE JUST LET ME DIEEE!" expression of the other "Shin monsters". Last edited by Billzilla1974 on Sun Oct 15, 2017 6:29 pm, edited 1 time in total. GMK Ghidorah is Shin Ghidorah. Hedorah is already the most shin-esque monster in the franchise, in all honesty. Last edited by MM Raids Again on Mon Nov 27, 2017 1:19 am, edited 2 times in total. Odd thought? If Shin Godzilla reproduces through its tail, what would Shin Ghidorah replicate through? Tail again or some other body part? Maybe the explanation for the three heads as there are buds that come off and become another one? Whoa, Shin Destroyah would be the ultimate foe. I want to see that. Last edited by BARAGONZILLA on Fri Dec 01, 2017 4:05 pm, edited 2 times in total. I believe Shin Ghidorah would be the exact opposite to Shin Godzilla. Shin G looks like an overcooked beef because of the keloid scars, something present in almost every Godzilla to date, but not in any of Ghidorah's concepts. I believe Shin Ghidorah would be like an Eldritch Abomination, something that simple men barely can comprehend, going against our concept of physics, but at the same time, something beautiful; the reflection of the sun over his golden coloration could be seen miles away. This would be far too interesting. Hopefully they take up the opportunity to do such a thing.